Industrial applications use hydrodynamic fluid film bearings as rotor support elements due to their advantages over rolling element bearings in operating speed, system stability and maintenance life. Recently, microturbomachinery (<250 kW) implement gas foil bearings (GFBs) as its rotor supports due to its compact design without lubricant supply systems and enhanced stability characteristics. 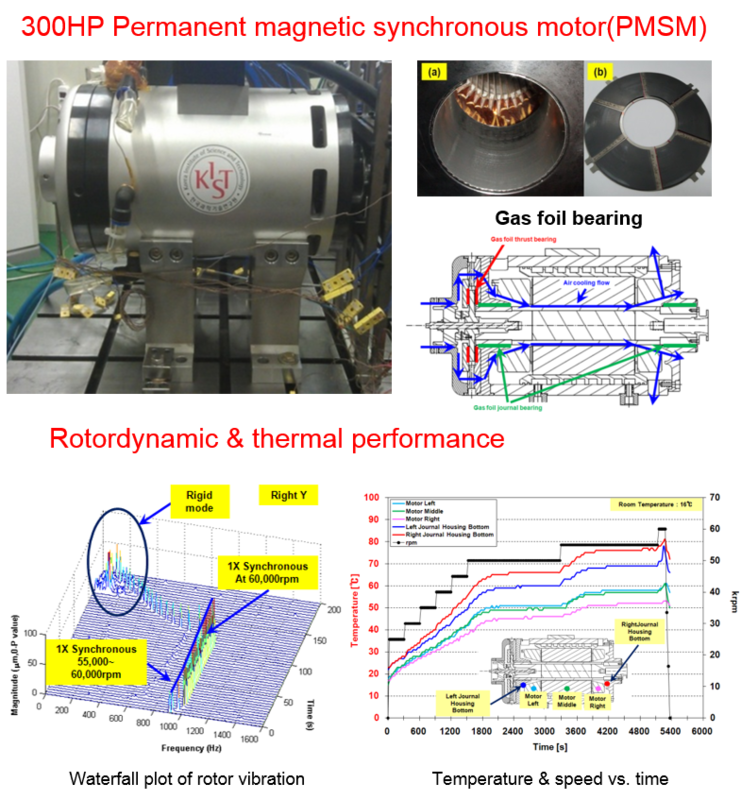 KIST researched fundamental of rotordynamic technology. We conducted reliability test for ultra high speed PM motor. And, this PM motor may be used as driving motor for turbo blower and turbo compressor.